Today I would like to introduce a very under utilized piece of dental instrumentation; the dental explorer. There are different types of dental explorers but most commonly veterinary practices purchase and employ a “shepherd’s hook” design. 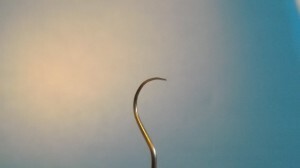 This is a slender instrument with a sharp point at the end to enhance the operator’s tactile sensation. Once the patient’s mouth has been cleaned and polished, this instrument is gently slid under the gum line to check for irregularities in the enamel. Whereas the periodontal probe is held parallel to the enamel, the explorer is held perpendicular to the enamel. It is also used to check the occlusal surface of molars for caries. With a very gentle touch, the explorer is moved along the tooth surface and the operator should experience a smooth path along healthy enamel. 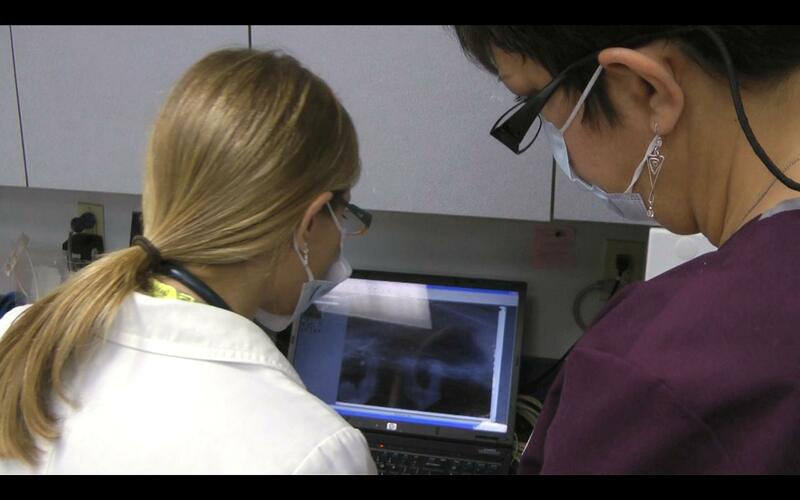 The dental explorer is a critical instrument when providing feline dentistry. Since many of our feline patients experience tooth resorptions, the explorer helps us identify these lesions before they destroy so much of the crown that they become clinically obvious. Often tooth resorption lesions occur at the neck of the tooth but below the gum line and hidden to the eye. When employing the explorer, the operator will notice a “catch”. 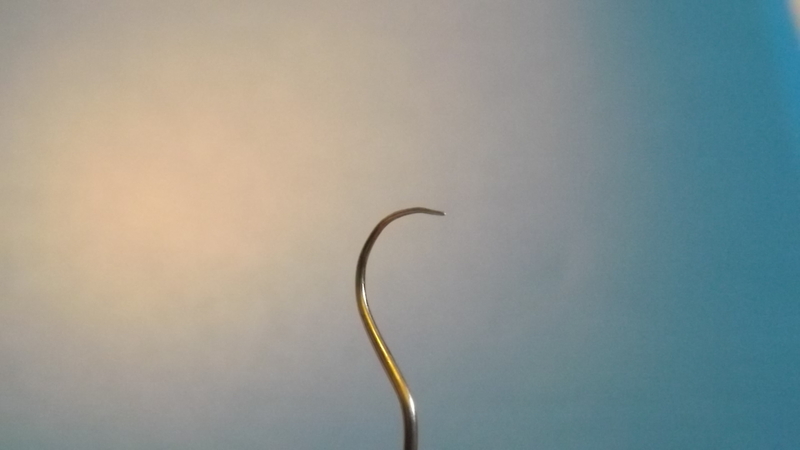 The instrument no longer glides smoothly and silently. You can train your ears to hear the characteristic “ting” of the instrument when that sharp point gets caught on a lesion. This video cleanly shows that clinically, the tooth looks normal. With careful use of the explorer, the technician was able to identify a loss of enamel integrity. This was noted on the dental chart and if your practice is not yet taking full mouth X-rays on each pet, then this would be a perfect opportunity for an X-ray. As you can see with this X-ray, that circular dark spot on the distal portion of the crown is the spot that was found with elegant use of the dental explorer. In this case, the client was called and informed of this clinically important finding and the recommendation for extraction was made. 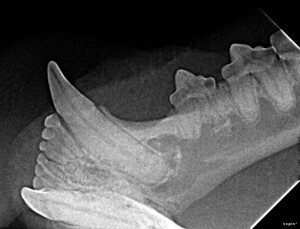 Otherwise, this lesion would not have been identified and the cat would have suffered in silence until the next dentistry when so much crown is destroyed that it becomes obvious. And, you may want to ask yourself, how long would it be before this patient is back on the table for dentistry in your practice?